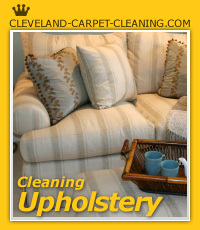 Cleveland Pet Stain Removal. Call us today at (216) 255-6905 for a free estimate. Pet stain removal is an arduous process and pet owners are sure to experience it almost every week. Those pesky urine, feces or vomit spots are sure to make you panic. Instead of panicking, you should immediately attend to it or it will get hard and you wouldn't be able to remove it. 1. If the pet has left feces or vomit on the carpet, don't try to rub it or you will push the waste deep into the carpet making the spot permanent. Instead, try to lift the waste and then apply some cleaning agent to it. Pet stain removers will not give you optimum satisfaction since they need time to settle in and do their work, but they are good if you decide to call our carpet cleaning service. 2. If the pet stain is urine, you should not rub it. Put a cloth on it and stand over the cloth. In this way the liquid will seep into the cloth and prevent it from going deep in the carpet. 3. After dabbing the spot, prepare a mixture of one part vinegar and two part water and pour the mixture over the spot. This will not let the spot settle permanently on the carpet. Alternatively, you can also minimize the damage by mixing washing soda and alcohol. This mixture will do better than any pet odor and soil removal formula. 4. Employ those enzyme based pet stain removal goods. Pour the liquid on the spot and let it do its work. After that rinse your carpet with shampoo and water and let it dry. Drying is important since it has to do a lot with smell. You can also do a simple carpet deodorizing once the carpet is completely dry. 5. If you can't do all of this and you need professionals to give your carpet a treatment, then you should call our Cleveland Carpet Cleaning Services. We will clean your carpet and remove that spot making it look like new again. Cleveland Ohio Pet Stain Removers will help you with its arsenal of pet stain and odor removal products specifically designed to deal with "accidents". Our carpet cleaners are environmentally safe and Eco-friendly. Our Cleveland pet stain removal products will not only eliminate that nauseating odor lingering in your home, they will kill the germs and clean your carpet with a tinge of a new look. We will make your home smell good and your carpet looking new. After all, we are Cleveland's professionals in pet stain removal. Give us a call if you need carpet cleaning pet stain and odor removal. 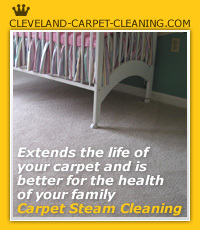 Our carpet cleaners are the best help you can get in Cleveland. 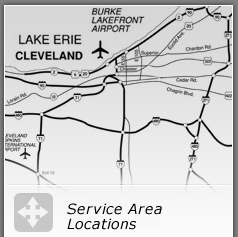 We kindly offer our services in Akron, Medina, Kent, Barberton, Strongsville, Parma, North Ridgeville, Solon, Mentor, Maple Heights and other nearby areas.